122 2nd Street – Pioneer Peter Sherner; adobe farmhouse, 1874. TODAY: Peter Sherner house on the NE corner of 2nd and Wall Ave. in 2011. YESTERDAY: Rear view shows adobe walls and board lean-to; walls were covered with stucco; photo courtesy Genevieve Sherner, c. 1920. 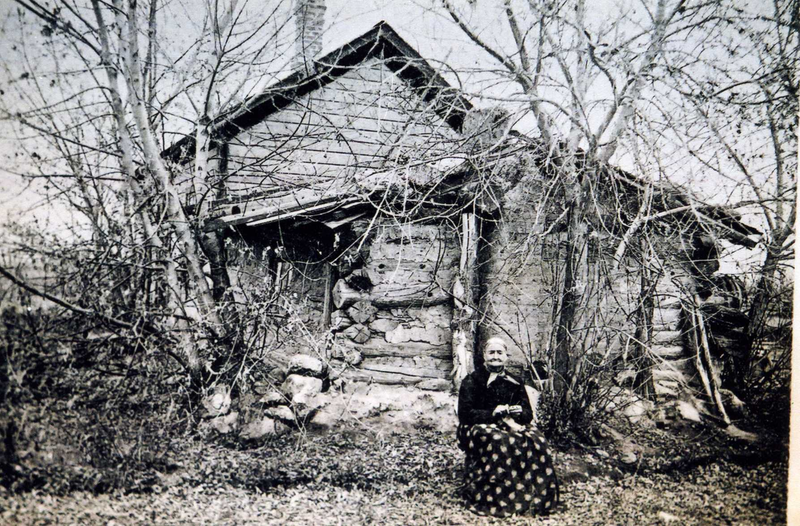 In 1874 Peter Sherner built a one-room adobe house for his bride, Mary Hutchens, using window casings and doors taken from an old house that Mary’s father tore down. The land was considered a poor building site because of four ant hills that stood higher that a person’s head and a dry river channel criss crossing the rear of the lot; it took a team of horses and a scraper to level the land and make a home site. Sam Gates’ molasses mill still stood at the west edge of their property where Wall Avenue runs now. Before long Peter enlarged the house to accommodate ten children. It became a 1 ½ story home in a hall-parlor plan. The front appearance of the house is symmetrical with chimneys on the gable ends. There is one front door which enters into a square room, the hall, with a smaller room to the east serving as the parlor. Two bedrooms were located upstairs; two lean-to additions were built on the back. The hall-parlor is considered the quintessential Utah house during the second half of the nineteenth century. The 12 inch adobe walls are covered with stucco on the outside, and a root cellar still stands twenty feet to the rear of the house in 2010. Peter Sherner was “adopted” by Sam Gates in about 1864. 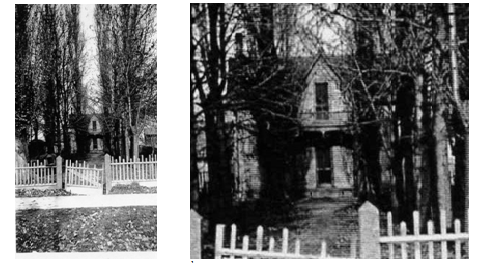 Neighbors passing by the Gates cabin on Bingham’s Lane on a certain day in 1864 saw a small boy about 14 wearing an old pair of Mr. Gates shoes and pants that were too big for him. He was a Danish immigrant with light blond hair that hung down straight almost to his shoulders. YESTERDAY: Peter was raised on 2nd Street in Sam Gates cabin after “adoption”; photo by Jason Crock c. 1890. It was common practice for pioneers to board immigrant youth for help with farm or domestic labor. After a few years the youth would move on to better opportunities or reunite with their own family. But Peter Sherner did not move on; he became an adopted son to the Gates family although he did not change his name to Gates. The Bingham Fort community became his home, and ten years after arriving at the Gates home, Peter married neighbor William Hutchen’s daughter, Mary Elizabeth, and built this adobe house at 122 2nd Street. Peter and Sam had close association throughout Peter’s youth and adult life. When Sam Gates was an old man he spent much time at Peter’s house, and in those latter years some friends teasingly called him “Sam Gates Sherner”. In 1880 the Indians were transient. They camped on both sides of 2nd Street in pastures and knocked on doors of for food. One day there was a humorous incident at the Sherner house between some Indians and Peter’s five-year-old son Lawrence. Mary Sherner found it necessary to go to a store three blocks away at Five Points and asked her five-year-old son (Lawrence) if he thought he could take care of his younger sisters for about a half hour. He said he could do as his mother directed and she hurried off to the store. When she was halfway home she could see a number of Indians turn into their place and she hurried as she know the children would be frightened when she wasn’t there, even though they were more or less used to seeing Indians. Peter had a strong liking for trees and planted oak and horse chestnut trees in front of his house and made a great high swing for the children between some poplar trees. On his 20-acre farm Peter had a grove of trees called The Grove. The Grove was used by church and community for dances, gatherings and celebrations like the 24th of July. One large oak that he planted still remains in front of the house next to the sidewalk in 2013. 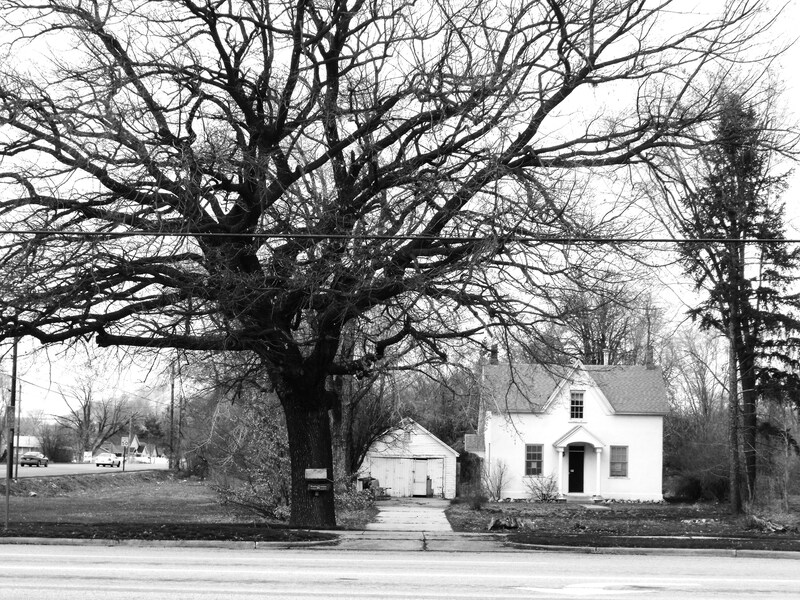 Large oak tree in front of Peter Sherner house;photo 2011. After his marriage Peter taught at Lynne School for a few years with the assistance of his wife. Later he taught new emigrants the English language. He became president of the Scandinavian Society and secretary of Lynne Irrigation Company. In addition to farming he was busy with public affairs and church activities and was known for his devotion to the Church of Jesus Christ of Latter-day Saints and his loyalty to the Scandinavian people. The Sherners had eleven children. Peter taught his children quaint Danish songs but always reminded them that “the United States of America was the grandest and best country on earth”. 218 2nd Street, built 1900 by Lawrence and Rozina Shaw Sherner; Lawrence Sherner served as bishop of Lynne/Ogden 5th Ward from 1915-1925. 136 2nd Street, built 1907 by Thomas and Julia Sherner Irvine; Thomas Irvine served as Pres. of Weber North Stake from 1934-1942. 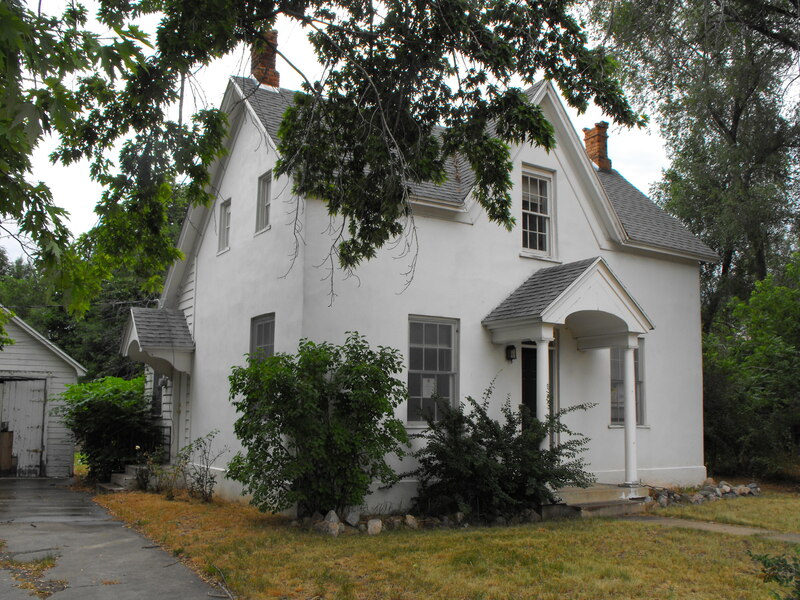 128 2nd Street, built 1908 by Carl O. and Harriet Sherner Turnquist; Carl O. Turnquist served as bishop of Lynne Ward from 1907-1915 and supervised the construction of the new ward building on the triangle at Five Points (now Bank of Utah). Unknown author, Peter Lorenson Sherner, manuscript. Thomas Carter and Peter Goss, Utah’s Historic Architecture, 1847-1940, 1988, Utah State Historical Society, p.14. Dorothy Sherner and Laura Sherner Welker, Mary Elizabeth-Her Stories, manuscript, 1933, p.79. Unknown author, Perter Lorenzo Sherner, manuscript. Laura Sherner Welker, Dorothy’s Memories of Peter Sherner, 1928, manuscript, p.2.